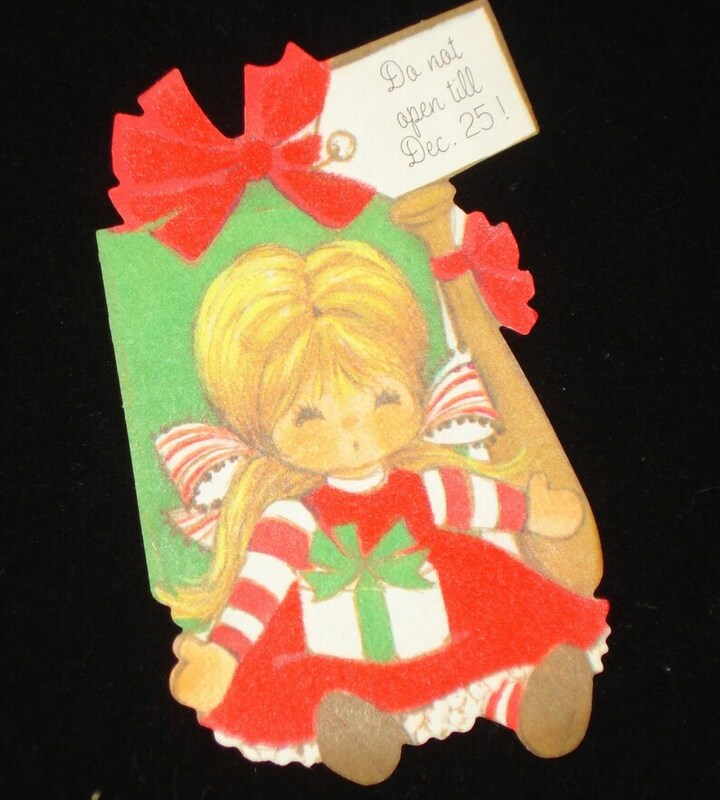 Vintage package embellishment "Do not open until Dec 25" of a little girl holding a gift. The red bow and red dress are flocked. Perfect for a scrapbook or altered art as well as a package decoration. Need more of these? Combined shipping available.